In this article, we describe in detail how you can use Custom Widgets to query SQL Server databases and show the results in a Custom Widget. 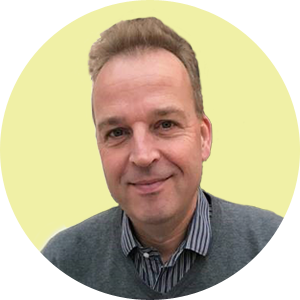 To get you started, we provide a template which can be used as a good starting point. The source code of Custom Widgets might contain confidential information like the credentials of a service account. The last section of this article describes how you can hide such information, by using placeholders. In this article, all the above-mentioned steps are described in detail. The last section of this article shows a template of a Custom Widget, which can be used for executing Secure SQL Queries from a Custom Widget. We firstly need to create the query, we would like to have as a widget, in the Secure SQL Queries feature. 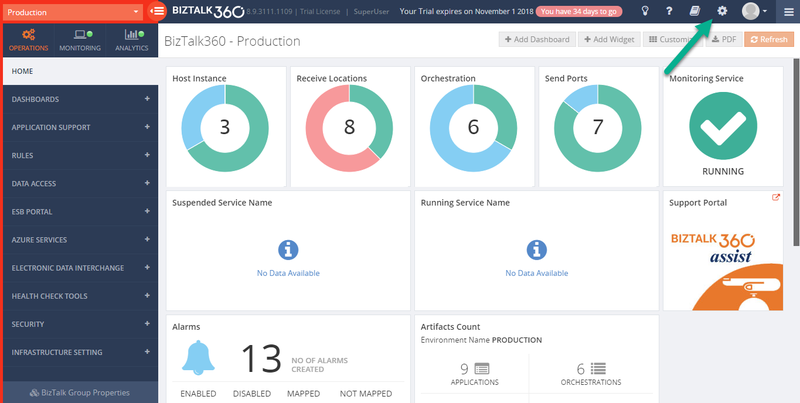 You can find this feature under Operations and then Data Access. For sake of simplicity, in this case, let’s use a query which already exists, being ‘All Disabled Receive Locations’. In the next step, we will collect some data about, amongst others, this query. We’ll use this data to set up the source code of the Custom Widget. Next, we also need to have the name of the BizTalk360 server. This is needed, as we must execute an API call to execute that SQL Query. You can easily take this from the Address bar of your browser, as shown in below screenshot. 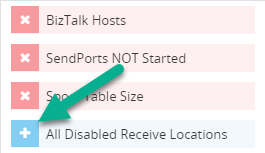 Note: this must be the real name of the BizTalk360 server; ‘localhost’ will not work! Now that we have all the information we need, we can focus on the source code of the Custom Widget. 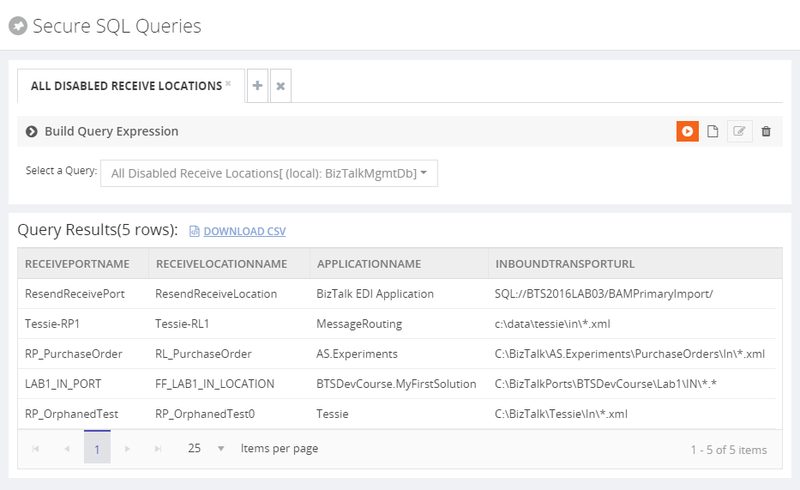 The first thing we’ll do is aligning the layout of the Custom Widget with the fields which are returned by the SQL query. 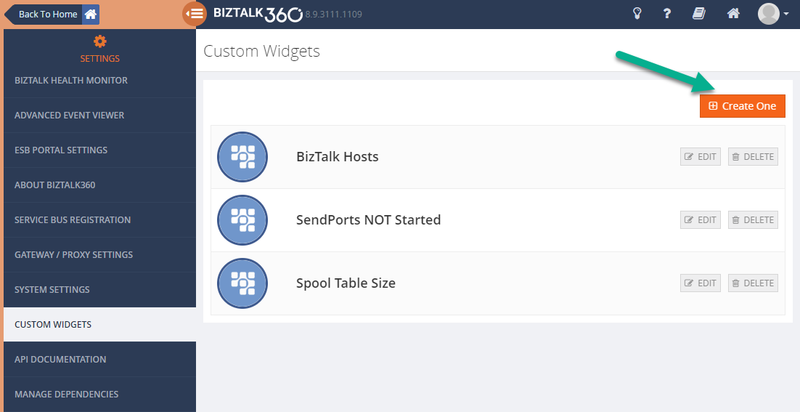 Note: Before creating the actual Custom Widget in BizTalk360, it probably is the easiest, to create a copy of the provided template for Custom Widgets. You can do all the modifications of the source code in a text editor like Notepad or Notepad++. As depicted in below screenshot, the SQL query we are using returns 4 fields. 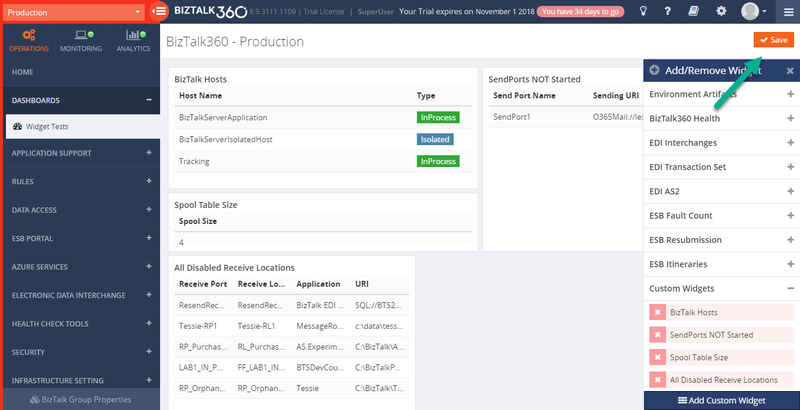 Enter all the earlier collected settings, including the credentials of the BizTalk360 Service Account. 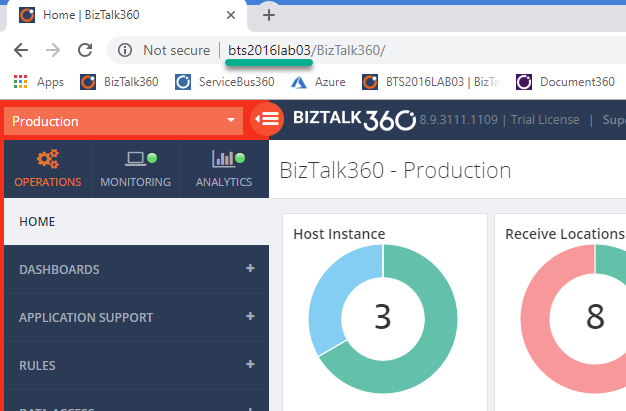 Note: The credentials of the BizTalk360 Service Account are shown in clear text. Of course, you don’t want to reveal these credentials; you can use Placeholders to hide these details. Using Placeholders is subject of the last section of this article. After that has been done, we have completed the needed modifications to the source code for the Custom Widget. We created the Custom Widget in the previous step, so in this case, we can click ‘Custom Widget’ to add that widget to the dashboard. 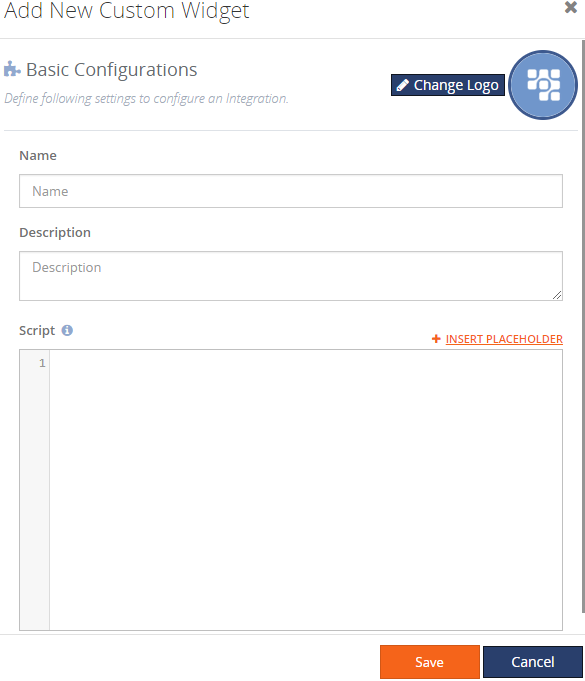 With the ‘Customize’ button, you can customize the dashboard, for example, to change the size of the Custom Widget, or move it to another part of the dashboard. To help you get started with creating Custom Widgets, you can use below template.